ACT is the recognized leader in cyclic processing systems used to process the M61A1/A2 and GAU-8 gun systems on America’s fighting aircraft. Our systems clean the breach, UALs, chutes and more without hand scrubbing, and are the only systems Air Force engineers at Robins AFB used to validate the process and write the latest T.O. supplement 11W1-12-4-32. ACT’s unique weapons cleaning systems takes advantage of immersion, ultrasonics, spray under immersion, and heat and approved chemistry to safely clean all gun parts with no stock loss. The ultrasonic function of our systems produces cavitation bubbles that form and collapse suddenly, generating tremendous cleaning power against the surfaces of parts immersed in the tank. This action effectively scrubs tough to remove soils from the parts. A secondary post wash module and a third moisture removal module complete the compact and highly affordable system with a strong ROI for any shop currently hand cleaning, or worse, hand cleaning after processing in the wrong system! Contact ACT today to learn how we can provide a turnkey project that will provide some of the most capable cleaning systems available for your armament shop. Our systems are on our GSA contract GS-07F-5505P. 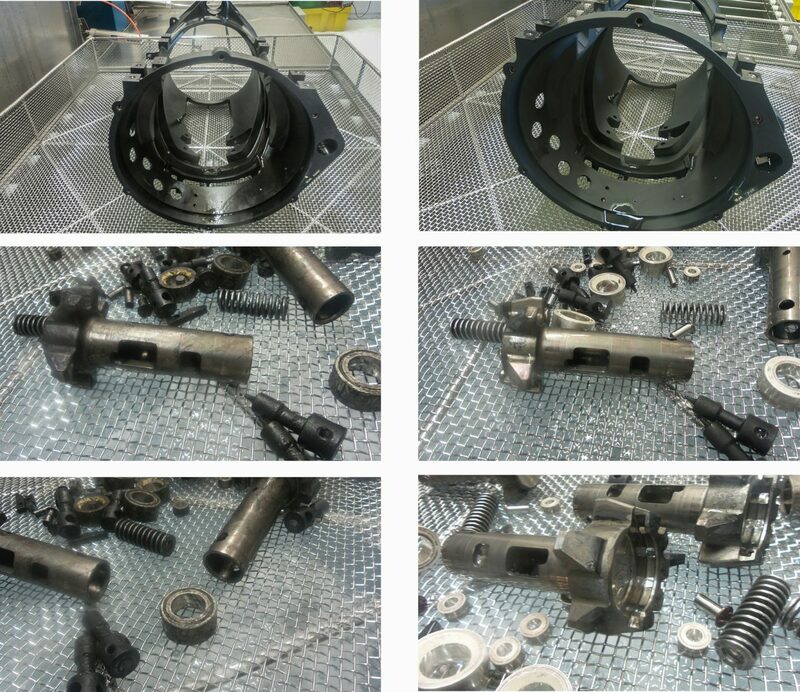 An excellent example of ACT’s capabilities is a recent US Air Force request to engineer a suitable ultrasonic parts cleaning system to process aircraft gun assemblies. Several systems and regimens were tested but only ACT’s alternating package and superior watt density were proven safe for the gun parts while removing the tenacious soils. The T.O. 11W-12-4-32 was specifically written around ACT’s technology and today dozens of USAF sites benefit from consistently clean and inspected weapons with minimal downtime.